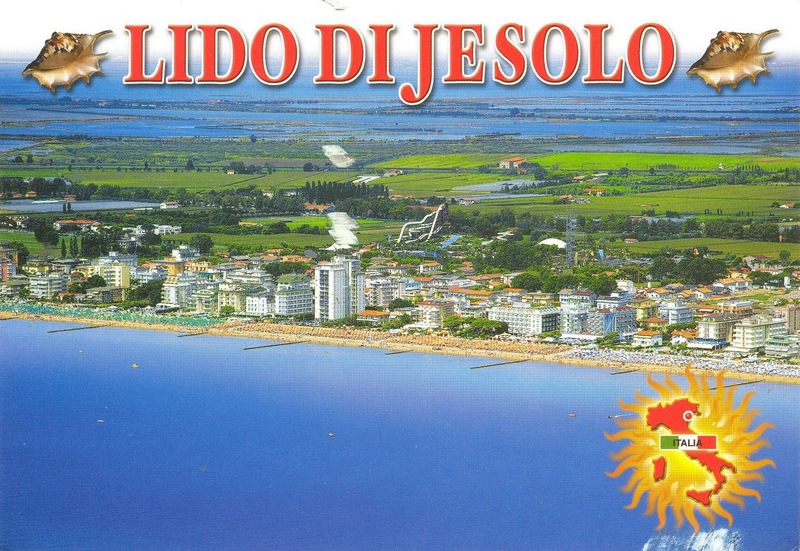 Lido di Jesolo is the beach area of the commune of Jesolo in the province of Venice, Italy. 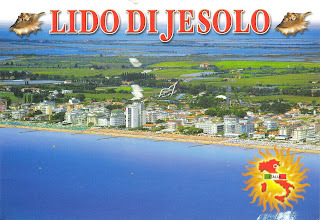 The place's economy depends mostly on tourism due to its 15km-long beach. 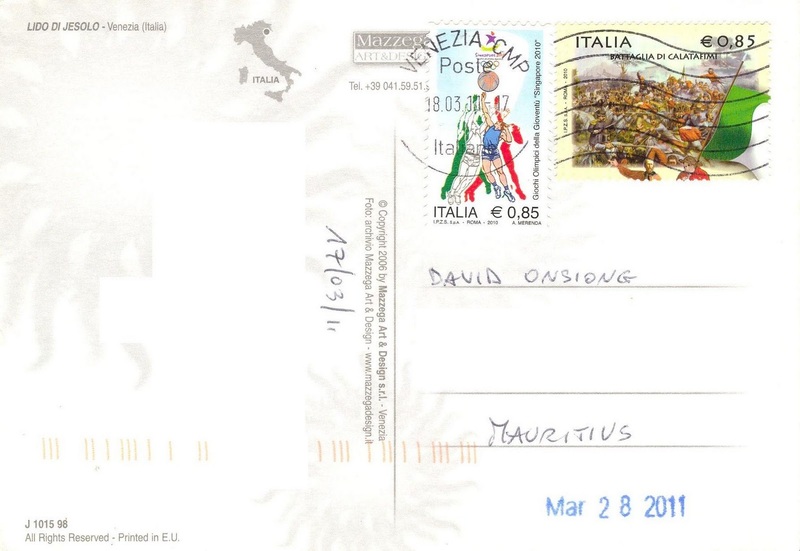 Thanks Ivan for this postcard sent on March 18, 2011. He used stamps on the first Youth Olympic Games held in Singapore in 2010 and on the Battle of Calatafimi which was fought on May 15, 1860.